Whether you want to keep things basic or go big, Ova-Nee Productions lets you choose the plan that is right for your needs. 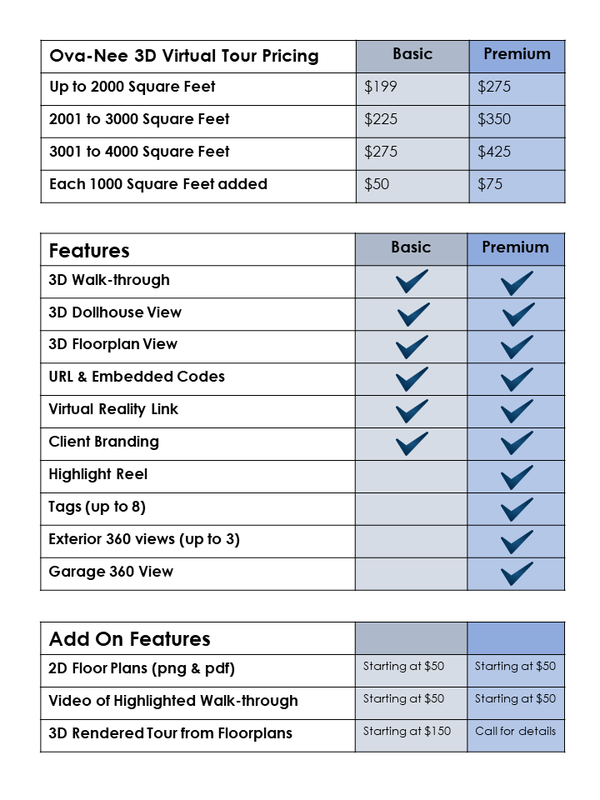 With the Basic Plan, you get a 3D walkthrough, an impressive Dollhouse View, 3D Floorplan View and more, all branded with your business name - standard. For just a little more, you can go Premium. All the features of our Basic Plan, plus a navigation-friendly Highlight Reel, descriptive tags, exterior views and more - and valuable analytics to measure traffic.